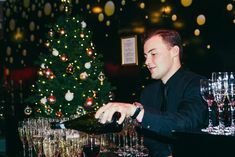 Here at Merlin Events we take our role as ambassadors of sustainability very seriously. 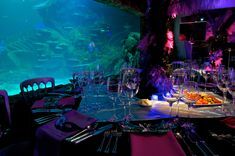 Working closely with SEA LIFE London Aquarium, we work hard to ensure that our clients and their guests understand our sustainability policy and that all our events at SEA LIFE London Aquarium fall within specific guidelines. It is important to remember that many modern methods of fishing are irresponsible, destructive and wasteful. When it comes to fish, only 5 species make up 80% of all the seafood eaten in Britain and it is not possible for such a way of life to continue without severely and irreparably damaging the vital ecosystems in our oceans. So what do Merlin Events do to help? Marine Stewardship Council (MSC) certified seafood. This means that the fisheries our caterers use are: fishing in a sustainable manner, i.e. at a level where it can continue indefinitely; that their methods do not damage the marine environment and that they are not targeting endangered species. They should also be seen to actively maintain the structure, productivity, function and diversity of the ecosystem they fish in. Aquaculture Stewardship Council (ASC) certified or organically farmed. This means ensuring that best practice is used to minimise the environmental and social footprint of aquaculture and that animal welfare standards are high. Pole or line caught skipjack or yellow fin tuna. This ensures that other species are not caught as bycatch when targeting tuna. Rated 1 or 2 on the Marine Conservation Society’s Guide to Sustainable Seafood. Guests to SEA LIFE London Aquarium can also take home a free ‘Pocket Good Fish Guide’, created by the Marine Conservation Society, to help them choose sustainable seafood themselves after they leave. The SEA LIFE Trust which is working globally to tackle issues such as whaling, overfishing, irresponsible fishing methods and plastic refuse. Bite-Back Shark & Marine Conservation’s work to make Britain shark-fin free; this innovative charity is sponsored by SEA LIFE London Aquarium. The Shark Trust’s No Limits campaign calls for science-based catch limits for sharks in European waters. For more information on how we work to increase awareness of the plight of sea creatures in the world’s oceans, visit SEA LIFE London Conservation Protect our Seas.